In August 1929, Will Rogers hosts the first Women’s National Air Race, which he calls “The Powder Puff Derby.” In this eight-day race from Santa Monica to Cleveland, fourteen daring women strive to be the fastest female pilot in the country. These aviation pioneers are thrilled by flight but also eager to prove that women can achieve equality with their male counterparts. Exuberant Marvel Crosson participates for the pure joy of flight. Strong-minded Louise Thaden wants to maintain her first place status. Foul-mouthed, cigar-smoking, hard-drinking heiress Pancho Barnes loves a good adventure. Surprisingly insecure Amelia Earhart wants to prove that she is worthy of her fame. The pilots fly their flimsy crafts despite hostile weather, mechanical problems, blatant chauvinism, and threats of sabotage. When a beloved aviatrix dies in the race, the women must decide whether they will continue risking their lives for the sport they love. The musical was developed in association with the Academy for New Musical Theatre and UC Irvine. The university presented the show as part of their festival of new musicals in September, 2010. The musical was presented at Stages, a Festival of New Musicals, on July 16 and 17, 2011 in North Hollywood. 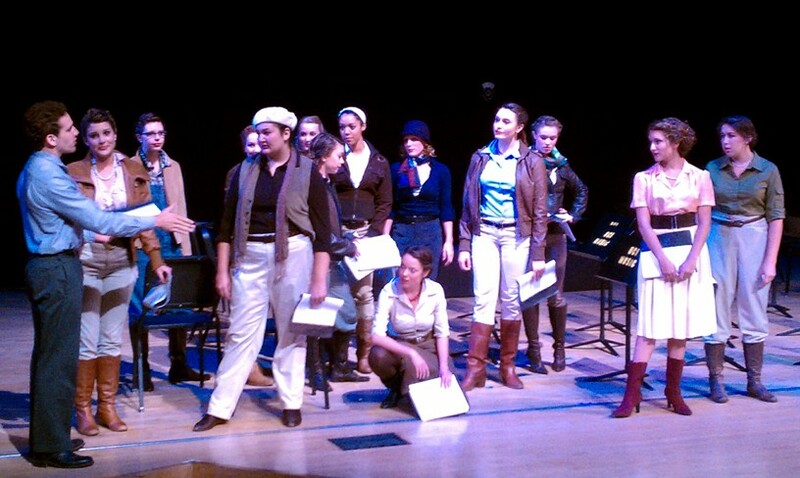 High Tech Charter High School in Van Nuys, CA presented a workshop production of the show in May, 2012.